Howz it goin'? Everyone doin' aight? And this time it is a actor I seriously drool over and I am sure most of you do too! He is a model turned actor and when he entered the industry, I personally thought he just had the looks. But now, he is one of the finest actors and has a look to die for! He is our Garam Masala for this week and he shall take you all around the city in his Taxi 9211. Haii John, sach mein jadoo kar daala...cant take my eyes off of him! John started his career w/ the movie Jism, opposite his current girlfriend Bipasha Basu, in 2003. After that he did movies like Saaya, Paap, Lakeer and Aetbaar. In 2004, came his super hit movie Dhoom. Here he played the character of Kabir - the leader of a gang of bikers who robbed places and sped away w/ the help of these amazing bikes. I think when he entered the industry he was still a model, however this movie converted him to a real actor! His acting was commendable. He also won the Filmfare and Zee Cine awards in the category of the Best actor in a villanous role. His work was thus greatly appreaciated by many. He certainly landed w/ a DHOOM! Next in line were movies like Madhoshi, Elaan, karam, and Kaal. Did you know, that John had approached Karan to get a debut, but Karan didnt take it seriously (if you have seen Koffee w/ Karan you should have known that fact! ). Then came the movie Viruddh. I loved this movie although it wasnt a huge success! Here he played the character of a son who dies while fighting for a girl. He doesnt have a big role in the movie, but whatever part he plays he plays it extremely well! His chemistry w/ AB was amazing as well! Aur iske baad aayee Paani...aka Water! He did a good job in that movie. After that came the comedy - Garam Masala where he played Mr. Cool This movie did quite well and his chemistry w/ Akshay Kumar made the comedy superb! After this he did movies like Zinda (where he played a negative character and did a very good job at portraying his character! ), and Taxi 9211 (where he plays a rich son who has a bad day and meets up w/ a taxi driver - Nana patekar). "Ek nazar mein bhi, pyaar hota hai...maine suna hai"
...toh phir kyun mein jab tumhein baar baar dekhti hoon toh phir se pyaar ho jaata hai? OK, so we have gone through the movies that have released thus far. Now, we come to those that are releasing soon! 1. Kabul Express: Two Indians, an American, one Afghan and a Pakistani on a journey together. Arshad Warsi co-stars in the movie. 2. Baabul: Babul tells the tale of a man (Bachchan) who tries to bring happiness back into his daughter-in-law (Mukherjee)'s life after his son (Salman)'s death. and..Is Pyaar Ko Kya Naam Doon, and Salaam E Ishq: A Tribute to Love are also releasing this year. So, as you can see, John Abraham has been taking different roles each time, and he does justice to his role a lot! He has been growing as a actor and continues to do so w/ each new movie. He is one true star. 1. Which is your favorite John Abraham movie and why? 3. Do you think that John grows w/ his movies? Any changes that you notice in John 2006 from John 2003 (ie when he entered the industry)? 4. John-Bips a good pair? Thats it for now friends. I shall be back next week, hopefully same day. To continue your support for John, please join his fan club. Which is your favorite John Abraham movie and why? I loved the movie dhoom cause the movie had lots pf style and substance (and ofcourse john abraham! ). I really loved the fast bikes and the fun in the movie and the actors did a great job in it. I would like to play the one in dhoom where john takes his friend for a ride in the friend's car and then drives the car at a dangerous speed. then he asks the friend to jump off and he throws the car off the cliff. I would like to play the part of the friend cause firstly i get to sit in the car with john plus i also loved the fun and adventure in the scene as it seemed like a hair-raising once in a life-time experience! Definately. John has shown 100% improvement in his looks and scting skils. JoHn hAi mErA gRaM mAsAlA! Well, i haven't seen some of his movies like Jism, and following that topic (Saaya also). I think I've only seen 4 movies of his, Dhoom, Garam Masala, Madhoshi, and Taxi. Out of those Garam Masala is the best because its a funny movie! I watched that in the theathers, and it was really worth it! Ummm...i'll come back to this one! Oh... I LOVE John! Thanks for the link Khair! -OMG... tough question! Ummmm... if I really have to choose, then it would be Water (acting wise) and Saaya (looks wise)! -Oh gosh... you're killing me here! Any scene "with" John would be great but, I would choose a scene out of Garam Masala! That movie was hilarious but it had some sensuality to it... if you know what I mean! 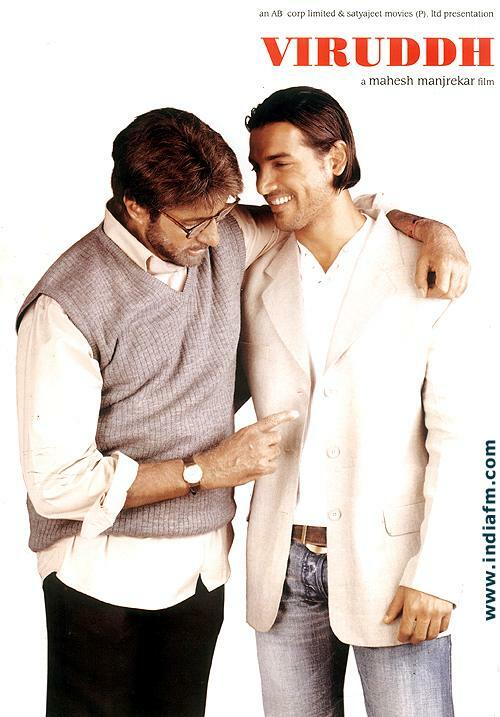 It should be a scene with both John and Akki... my other love! Preferably a song sequence... such as Dil Samander or something! -I think that he has definitely matured as an actor and his looks have improved also! I like the longer hair (compared to that of Jism)! He was great as a newcomer but now... he's a SUPERstar, in my opinion at least! Can't wait to see him progress with a lot of success! -In my opinion, they are the absolute HOTTEST, sexiest and most exotic couple in the industry! They are perfect together, and I hope they always remain! Love 'em both! yea yea john... uff kya adaa hai!!! posting my questions in a bit.. This is hard... let's see.. I think Dhoom is one of my favorites, because it was just tooo hot to Handle. John was fantablous in it and it was just WOWWWWW!!! YUP.. John has grown with his movies.. I think he is getting better day by day. OOooh, They are a greattttttttt pair.. I love their pair..
Ooooh my super hottestestestest guy in bollywood!!! 1.Which is your favorite John Abraham movie and why? Ummm....I...uh...yaaR...yeh kaisa sawaal hai ...i would want to do any scene and every scene! 3.Do you think that John grows w/ his movies? Any changes that you notice in John 2006 from John 2003 (ie when he entered the industry)?